More Air Group is your leading local supplier of Boss Air Systems, servicing Mackay and surrounding regions. 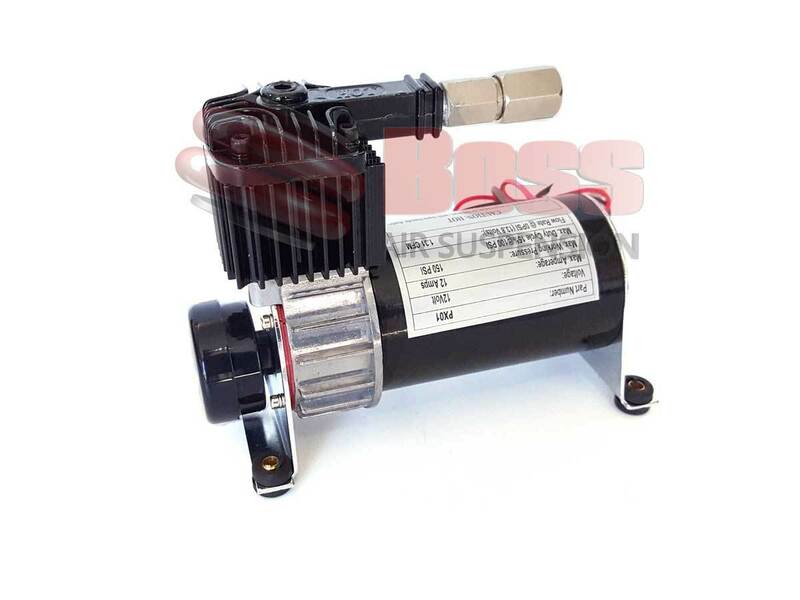 12v 100% duty cycle ideal for air suspension use. 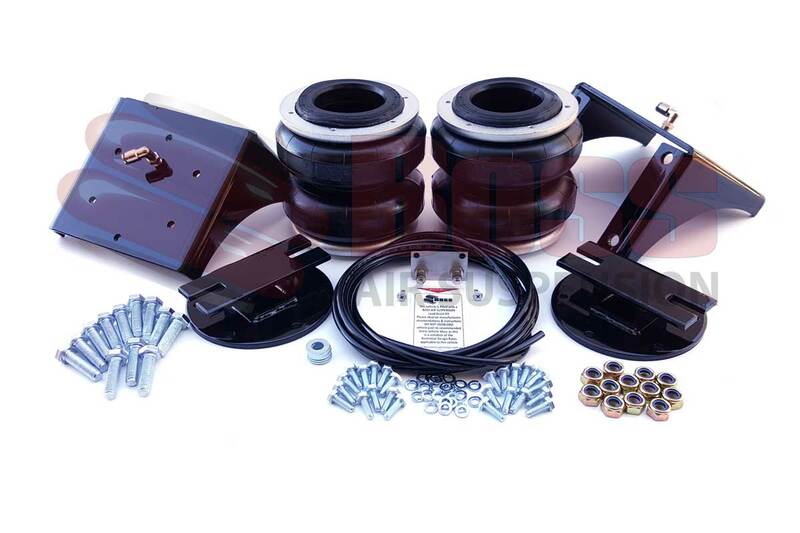 BOSS load assist kits are easy to fit and most simply bolt on using basic hand tools and when filled with air, raise the rear end ( when under load) to make the vehicle level again, making the vehicle safer when loaded by keeping the front wheels in contact with the road, eliminating sway and improving ( wet or dry). 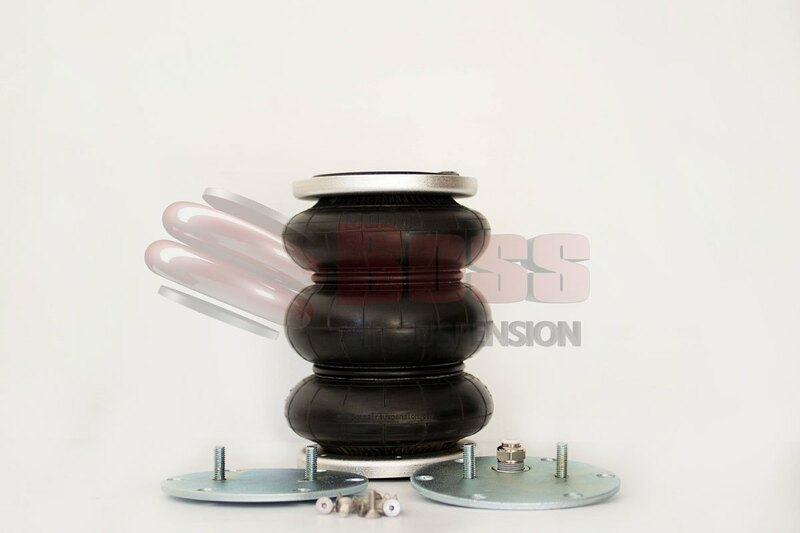 Full coil replacement bag kits are also available for popular coil 4wds and sedans. Boss “On Board Air” control kits can be added to all Load Assist Kits. BOSS Extreme series airbags are rated at 2500LB or 1136KG per side and have been government tested to over 750psi (Average dual cab Utes will run around 45-45psi) All BOSS airbags are manufactured by us and are branded BOSS! Lightweight T6 heat treated aluminium air tanks, with a range of tank sizes, port configurations and port sizes. Tanks are rust free, providing clean air for valves. Also all 9L (3 gallon) & 15L (5 gallon) tanks can be mounted in 3 angles. On end, upright or upside down and still keep drain port at bottom with our unique design. Mounting legs included. Shot based anodized or chrome finish. 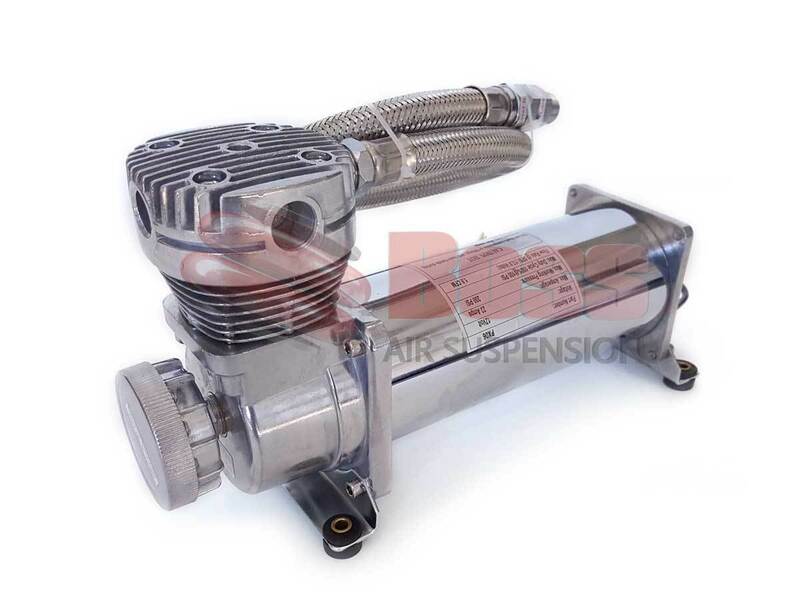 Also recommended working pressure is 0 – 170psi. While maximum pressure is 400psi. Sizes range from 2 litres through to 15 litres with extruded centre section and stamped ends. 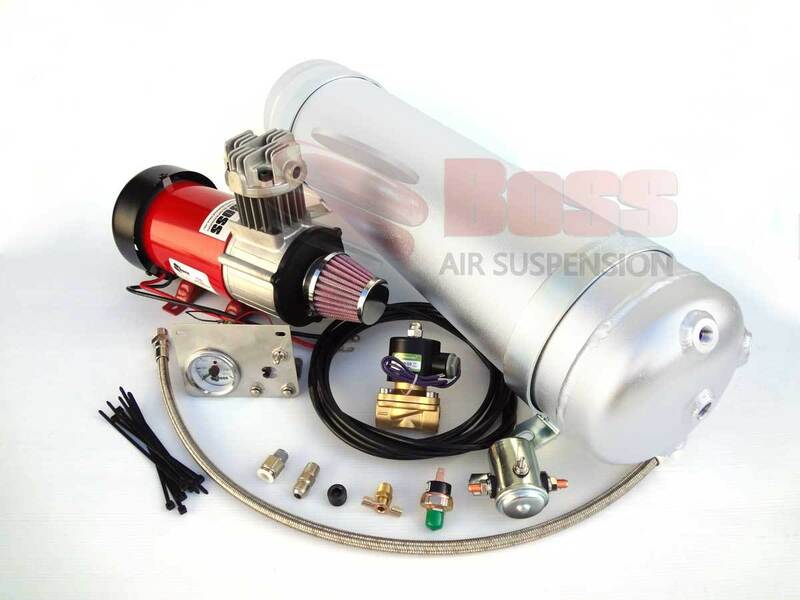 Boss Air Suspension’s On Board Air Kits are a great accessory for any vehicle, whether you need to inflate your tyres after going off road or you need to fill your load assist bags to level your vehicle we have a kit that will fit all purposes! 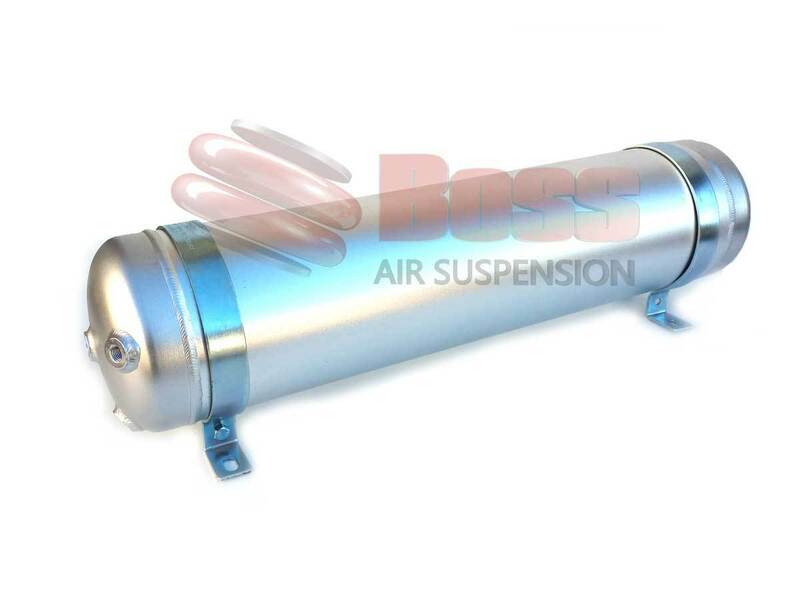 BOSS Air Suspension air bags are manufactured in our very own factory to our specifications. Built tough for Australasian conditions. BOSS air bags have a recommended test pressure of 480psi. That meets the pressure vessel industry guidelines of 3 times the maximum working pressure. BOSS air bags are undeniably the strongest in the automotive industry and exceed any other airbag brands by nearly double. When BOSS air bags are utilised in the load assist applications it’s virtually impossible to pull the bags apart. Since BOSS started manufacturing it’s own air bags in 2005, we have never had an airbag fail from bursting. 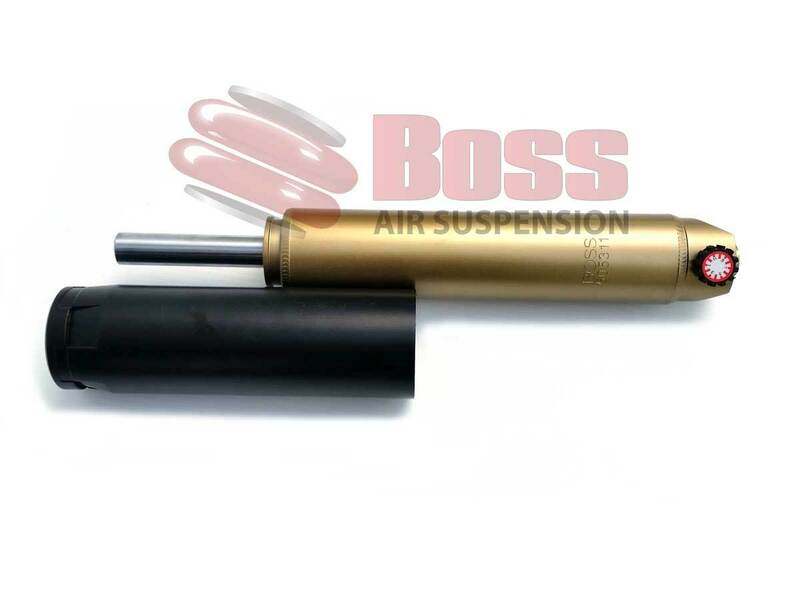 BOSS shocks will not fade under hard use, the piston and bypass tube is continually submerged in oil, keeping it cooler and displacing heat through the walls of shock. Oil Filled – 100% oil filled with a closed cell foam insert ensure continued high performance under harsh conditions. Solid Construction – 22mm Hard Chrome Shaft, 60mm Body, Forged pin/loops, Chrome plated for durability. Twin Tube Design – Our twin tube shock can sustain extensive damage to the outer case before the working of the shock is affected. Redesigned Boot – Tough ABS plastic boot for durability. Lasting longer then conventional rubber boots. 12 Way Adjustment – 12 adjustable settings for rebound dampening allowing a huge range of adjustment for vehicle type and changing factors. Threaded Ends – Female threads at each end allowing the customer to install any fittings needed at each end to suit the application.